We are so happy you are here. Have some questions? Feeling overwhelmed and needing answers? You came to the right place! There are absolutely no returns, refunds, cancellations, store credits or exchanges! It is very important to get measured correctly, because after the order/purchase is made we cannot make any changes. Size charts are found when you click on a gown to enlarge it. If you have any questions regarding size, feel free to call us at 770-942-2896. Do I need an appointment to try on Bridal Gowns/Bridesmaid Dresses? Appointments are highly reccomended so that we are able to give you the best service possible. You can schedule an appointment on our website under the link: "Bridal Appointments"
Why do some internet sites sell the same gowns for a much cheaper price? BEWARE of internet sites that appear to be selling a current style gown at a much cheaper price. The gown could be a counterfeit or "fake" gown and you may not get what you paid for. Retail stores and retail internet sites are required to be an authorized retailer for the designer and must sell their gowns at the manufacturers suggested retail price. Click on the product you would like to order. A new window will open where you will Select a color and size (be sure to view our size charts, because each designer's charts vary) Simply click the "Add To Cart" link. A new window will open and ask you to confirm your order, and you will be given a confirmation number. When we receive your order we will call the designer (if we do not have the gown in our retail store) to make sure the dress is available in time for your wear date, you will then be contacted within 24-48 hours with your order details. Regular shipping for Online Orders is free within the U.S. (excluding Alaska and Hawaii) for purchases totaling over $200 (before tax). Shipping costs will vary depending on the weight of the product for orders totaling under $200. Currently we do not ship outisde of the U.S. If there are any damages, we will get a replacement gown (as long as it is in stock). If the dress is not in stock we will check on getting a replacement gown. It is important to place the order ASAP (even if your prom/event isn't early) because gowns sell out quickly. Within 24-48 hours you will be contacted about your order, we first make sure your order is available in time for your wear date. After we ensure your item is available for your wear date, your card will be charged and you will receive an email with your order details. 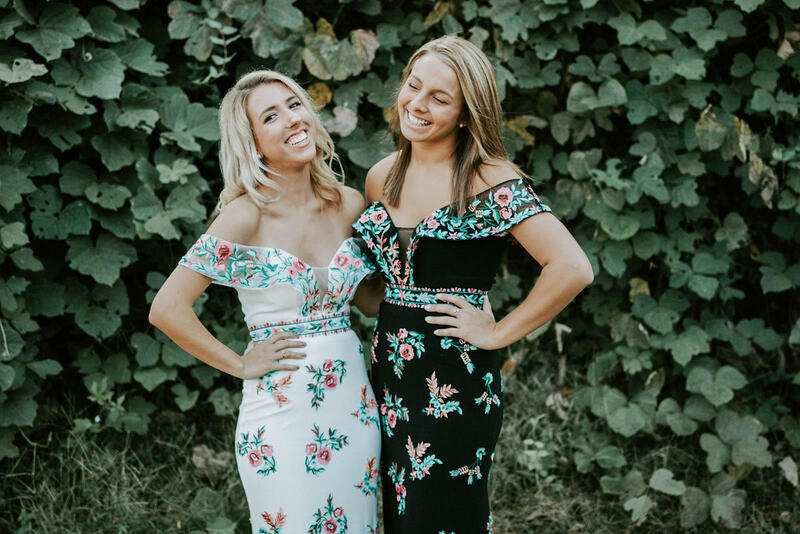 What happens if my dress isn't in stock? You will be notified via phone or email if your item is not in stock. You will also be informed if there is a size up or down, or other colors available in the style you have selected. If your item is unavailable, your card will not be charged. Your card will be charged when availability is confirmed either in our stock or from the manufacturer. To determine your correct size you will need to have your measurements professionally taken. Size charts are located on each page when you enlarge a gown, when you click on Size Chart another window will open with the designers measurements on it, if you scroll to the bottom of the page you can click on "Click Here for detailed measuring instructions" and it will show you how and where you need to have your measurements taken. Sizing varies by designer and style so be sure to consult the size chart for the dress you are interested in. Please be aware the most formal wear runs one to two sizes smaller than your normal dress size. Please note that gowns are not custom made to your measurements and should be ordered to fit your largest measurement and altered to fot your body. Please make sure you are ordering the correct size for your measurements. No returns, refunds or exchanges will be accepted for ordering the wrong size. What if my gown needs alterations? 90% of all formal gowns will need some type of alterations done. Each designer provides a size chart that you must use to determine the closest size best suited for you. If you are between sizes we recommend choosing the larger size so you can have the dress altered to fit you. We do not do alterations in house, however we can reccommend local seamstresses in our area. Our retail store is located at 2080 Fairburn Road in Douglasville, Georgia 30135 (just west outside of Atlanta, Georgia).